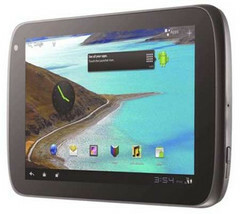 ZTE Optik one of the most affordable Android tablet has been released to the market with Sprint. This tablet was earlier expected to be released with a price of $250 but now it seems like Sprint is offering the Tablet only for $99 along with a two year agreement. With this price tag we can say that the device can really make a good business in the market. The 7inch device sports a capacitive multitouch display. It is powered by a 1.2GHz dual core processor and a 1GB RAM. It will also offer storage of 16GB along with a MicroSD card slot to increase the capacity if required. The device will run on Android 3.2 or Honeycomb Platform. The device also sports two cameras 5MP to its rear, while a 2MP to its front. Although this device will not offer a 4G connectivity but will surely offer a 3G service to its customers. Another specification that must be included is the GPS, as this device seems to be perfect in size for using in cars if we compare it with the smaller Smartphones. The 7inch display really will help you to locate the destinations in the wide screen. If you are not looking for a heavy duty tablet that runs on Ice Cream Sandwich and equipped with a high speed quad core processor then this device can really be a great option. In $99 it will offer you great media experience or you may say it’s really great for watching movies and playing some of the games. Apart from all that the $99 price is really awesome to grab a tablet which will allow you to access the internet along with some basic needs of your daily life. The device will be available in all the Sprint retailers along with other retailers who offer Sprint devices.